Food is one of the best things in the entire world, but sometimes people take things a little too far. Deep fried foods tend to be that level of too far, especially when you take a trip to the local county fair, where almost everything at the food stands have been deep fried once or twice. Macaroni and cheese, Oreo’s, pickles, entire slices of cheesecake, and plenty more are sometimes breaded and dipped in frying oil for relatively cheap prices. Unfortunately, this is also how you develop heart problems and obesity. 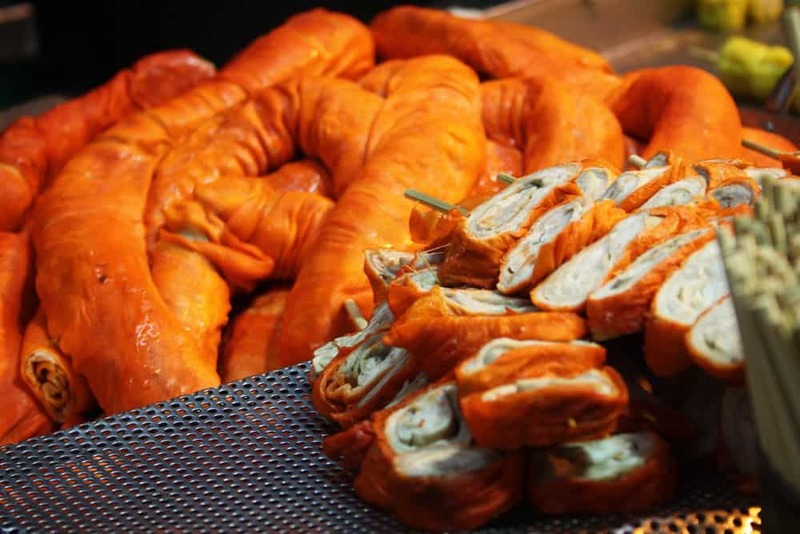 Without further ado, here are the top ten deep fried foods that may gross you out. Served for the very first time in 2009 at the Texas State Fair, deep fried butter is the most likely cause for an impending heart attack. Invented by Abel Gonzales Jr., this particular food is rather disgusting. 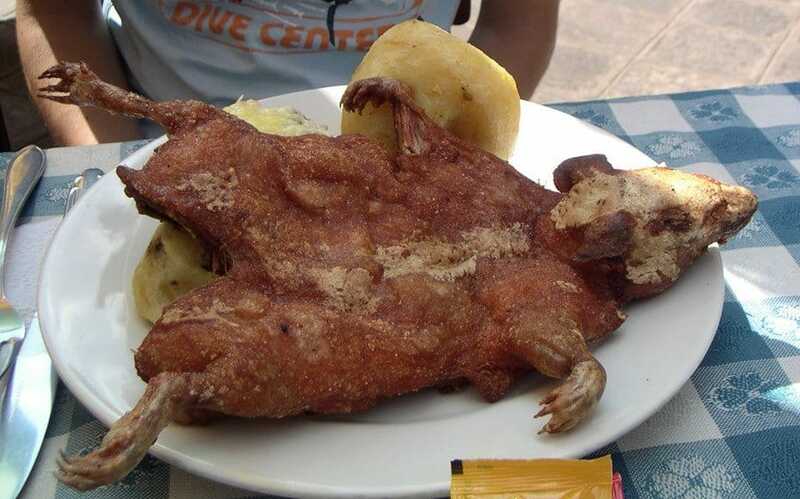 Deep Fried Guinea Pig has become something of a traditional Peruvian dish, where the food originated. Most Americans and Europeans probably won’t want to chomp down on a fresh guinea pig, but Peru doesn’t mind. 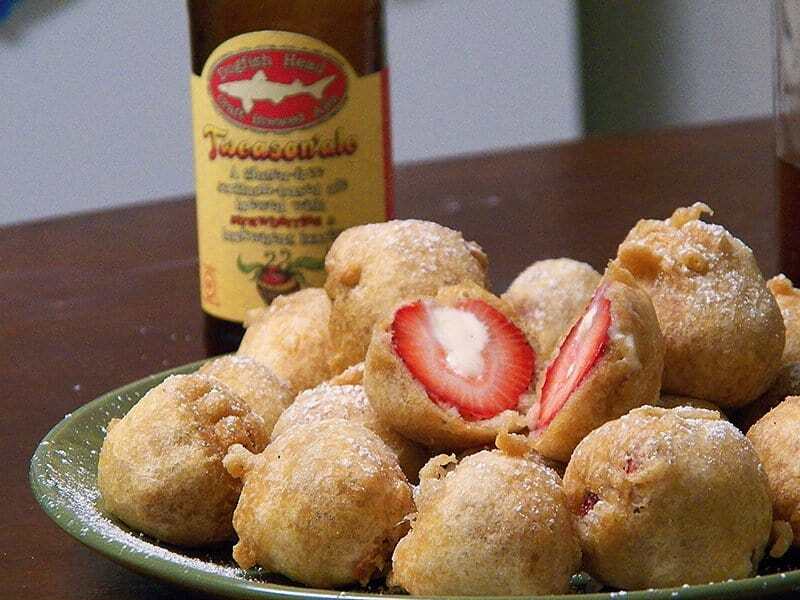 Strawberries are some of the greatest fruits around, but deep frying them could take things to the next level. We’re unsure if this is just plain gross or pure genius. 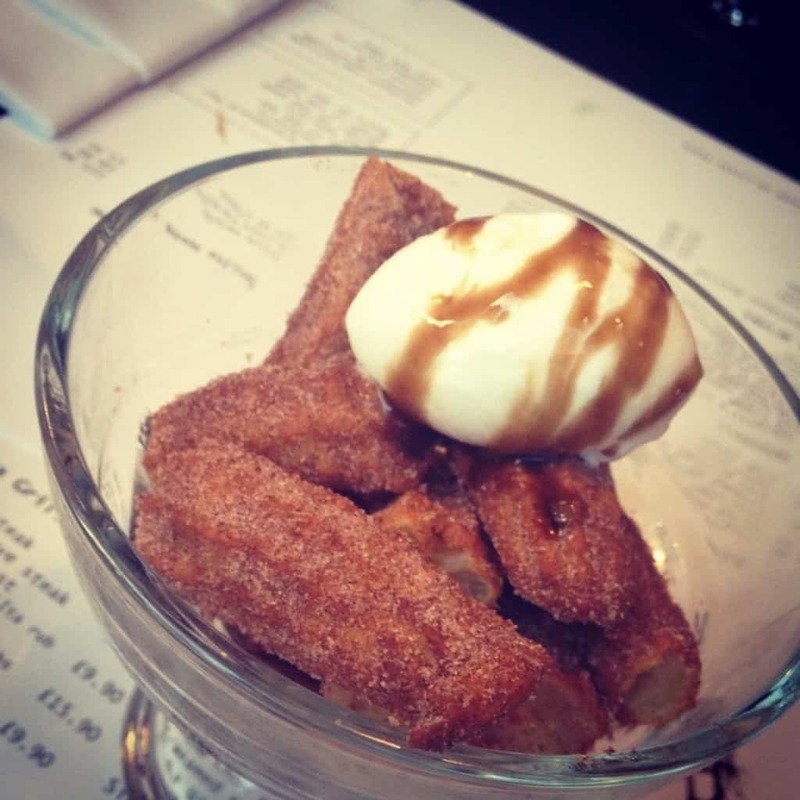 Pair them with some ice cream and you could have a delectable treat. 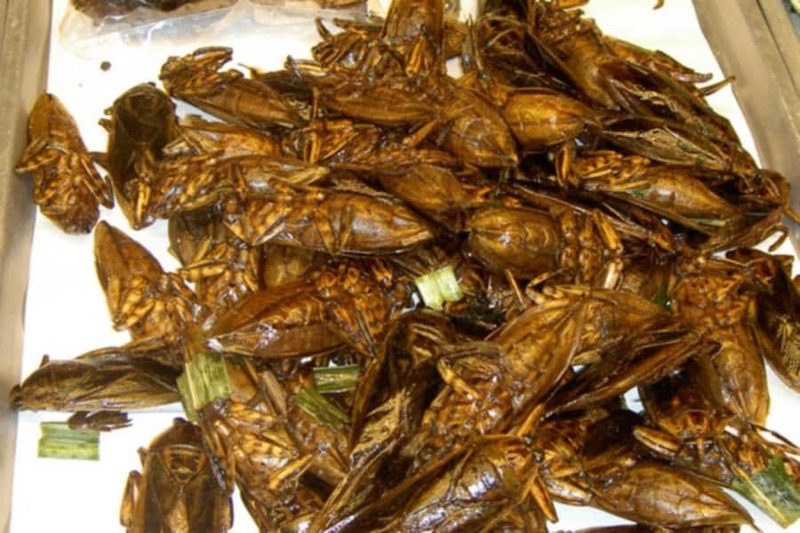 People eating cockroaches is already pretty dang nasty, but deep frying them in a crispy batter first may just send some people over the edge. These little critters can survive the apocalypse, but they won’t survive your stomach. 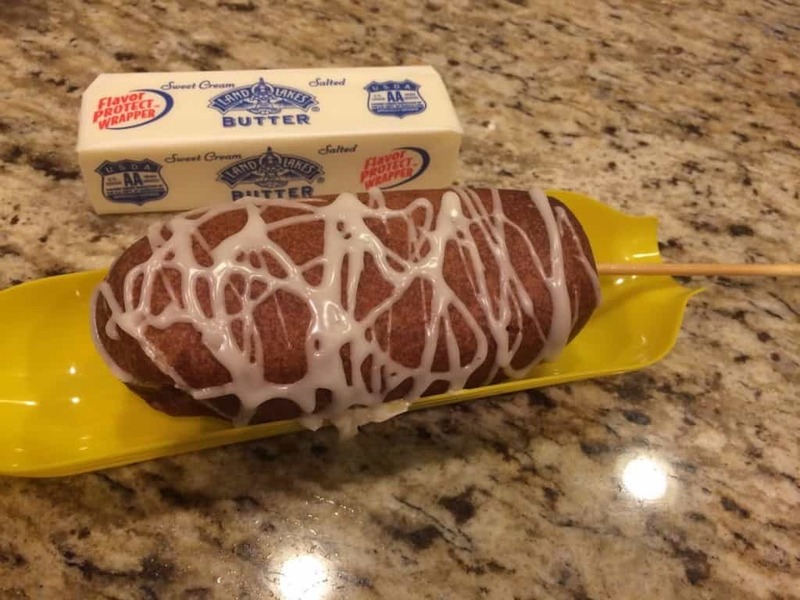 Somehow Abel Gonzales Jr., the same man who invented deep fried butter, also managed to create a deep fried Coca-Cola concoction for the Texas State Fair. The soda is not pure liquid, but the batter is definitely soaked in Coca-Cola. Pizza is pretty unhealthy as it is, but deep frying it could make it a bit more versatile. 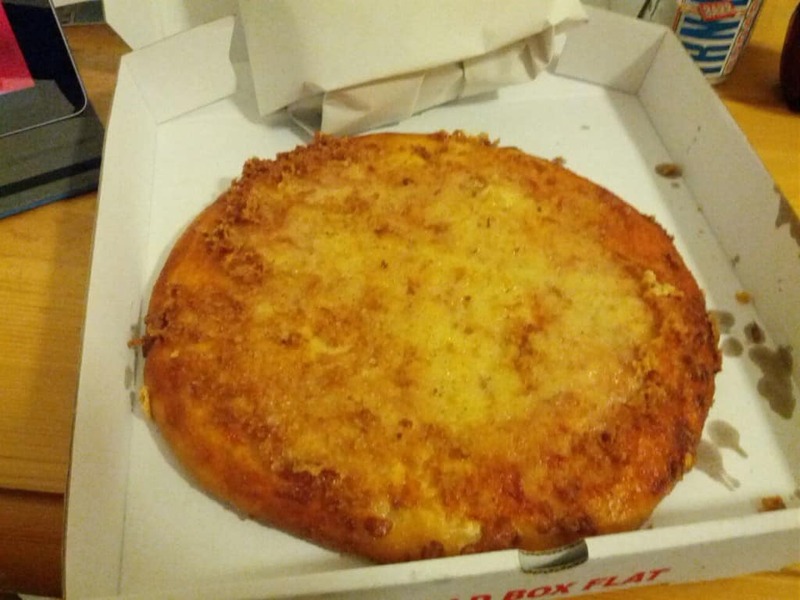 Some people truly enjoy dipping their slice of pepperoni pizza in batter and soaking it in the deep fat fryer for a bit of time before munching out. Somewhere, someone is currently chewing on deep fried intestines that came from an unknown animal. That is right, unknown. Some people don’t let you know what they are frying up before serving it on a plate. 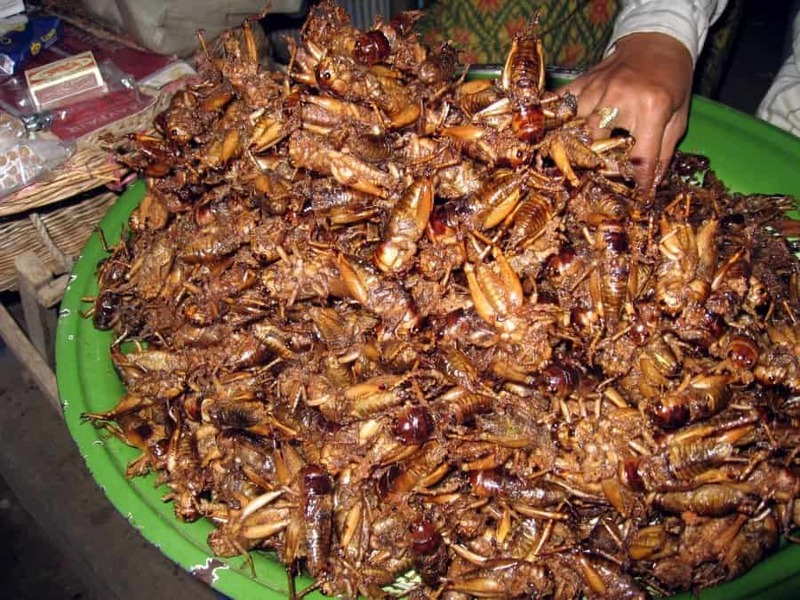 Deep Fried Crickets has become a highly popular street food throughout Southeast Asia, and many backpackers and natives have taken a step up to the cricket booth for a tasty treat. Again, bugs are quite nasty, so eating them is the worst possible thing ever. 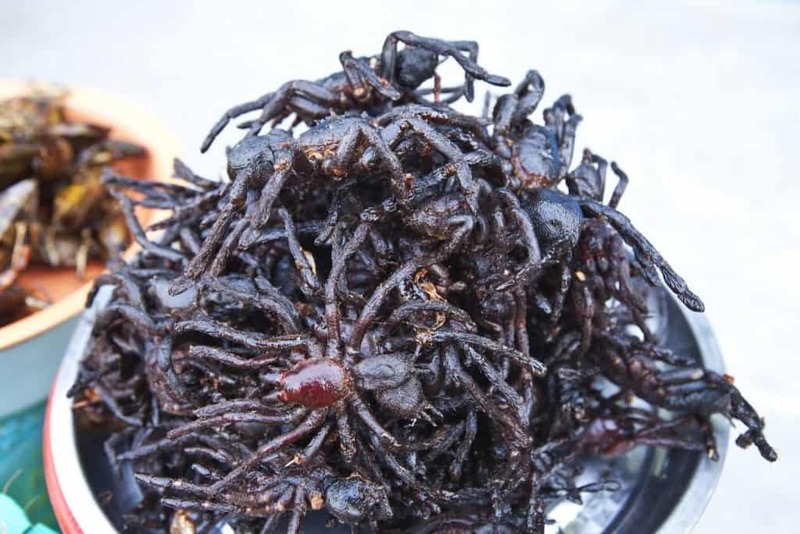 Deep drying an entire tarantula and then ripping the legs off one by one makes us cringe. Asian countries have become quite known for consuming this treat. 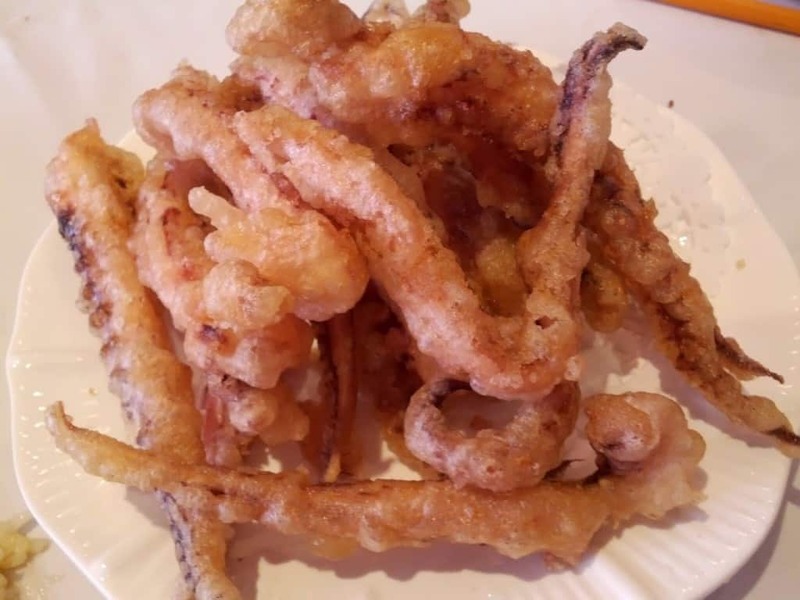 Deep Fried Squid Feelers sounds interesting, but also gut-wrenching. Anyone who has chewed on the bristles of their toothbrush will have an idea how a squid’s feelers will feel going down their throat.